Super cute and trendy Chuck Taylor Classic Converse Shoes for Toddlers and Kids! 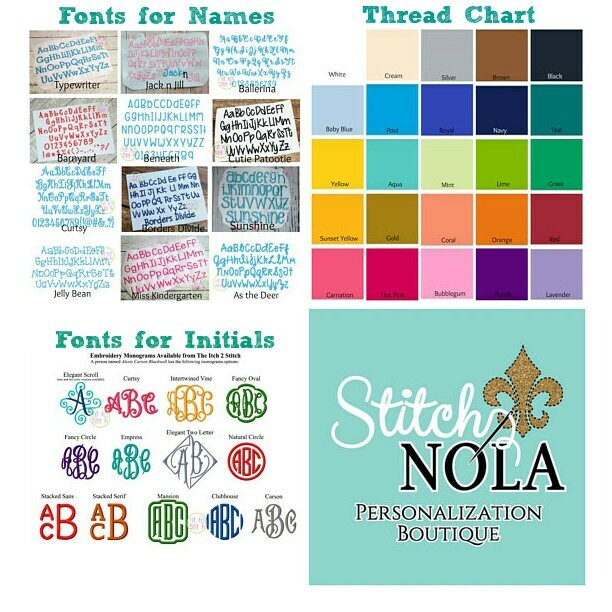 In notes to seller, please include font style, thread color (just about any color available) and monogram in the order (first, LAST, middle) and child's full name. 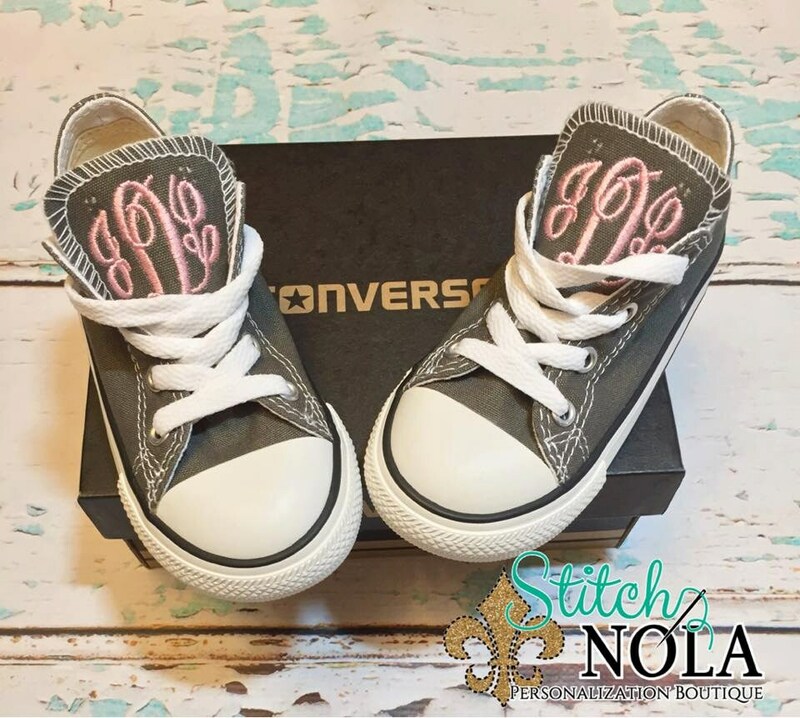 If font is not indicated in comments to seller, the boy shoes will be monogrammed in sports font and the girl shoes will be monogrammed in master circle. **VERY IMPORTANT!! 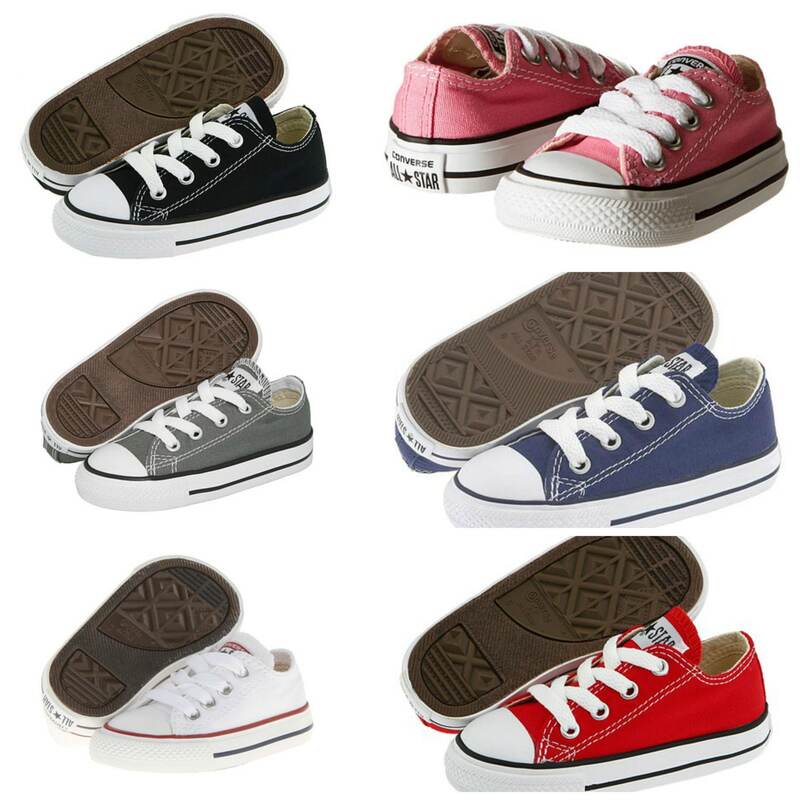 Converse are known to run a half-size large to size! Some say you should order up to a whole size down. 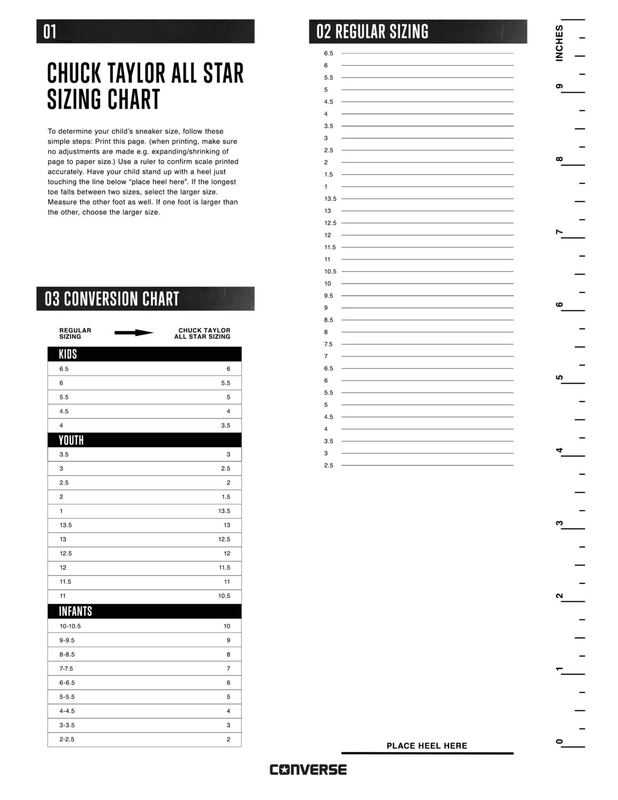 Please refer to the sizing chart in the photos or simply try on a pair in a local store to ensure a perfect fit prior to ordering. Please note the Converse tag from the tongue of the shoe will be removed prior to monogramming them. You can see in the pictures where the tag was, but it is hardly noticeable and we are unable to monogram them with the tag in place. In the rare instance your size/color selection is sold out and cannot quickly be ordered, you will be contacted for a second selection or a full refund will be issued to the original form of payment. 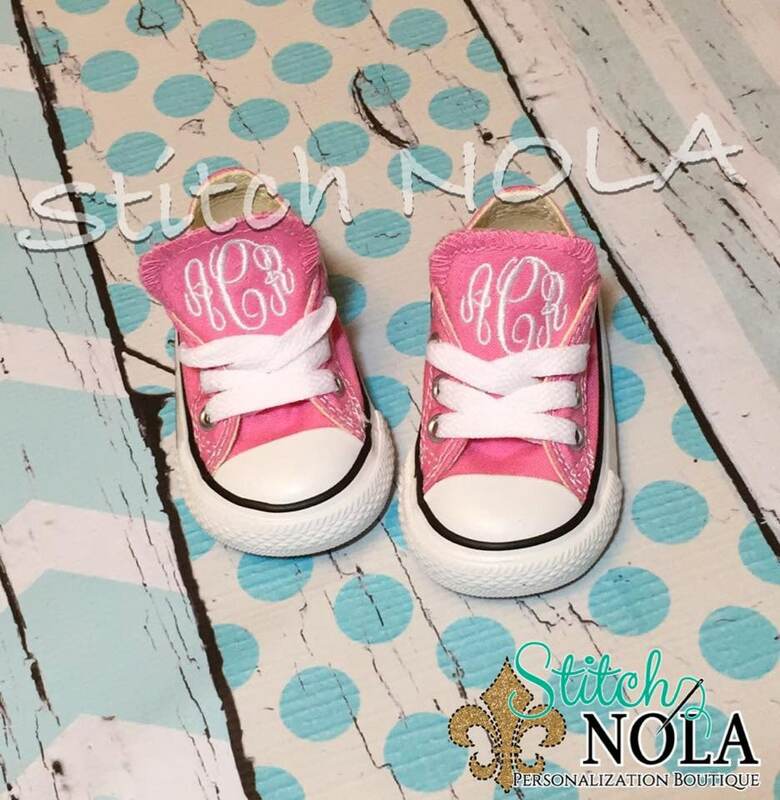 Already have a pair and just need them monogrammed? Please convo me for details!